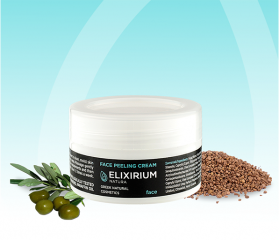 ELIXIRIUM NATURA - FACE PEELING CREAM. 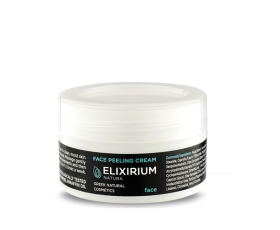 HomeElixirium NaturaFACEELIXIRIUM NATURA - FACE PEELING CREAM. With organic olive oil & olive stones. FREE OF PARABENS, PARAFFIN OIL, PROPYLENE GLYCOL. Exfoliating face cream with granules from olive stones and organic olive oil. It removes dead skin cells and blackheads. 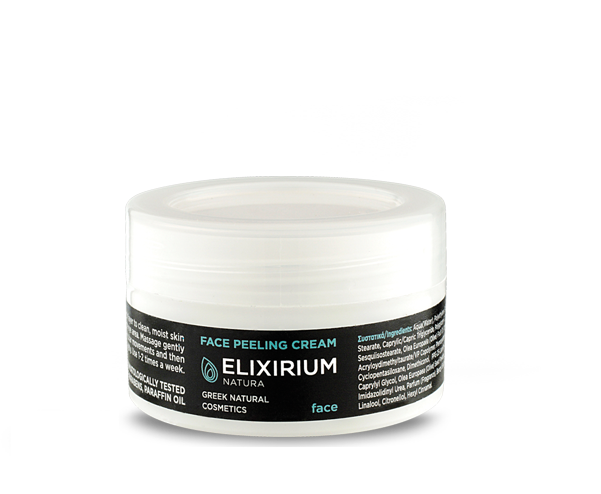 Refreshes and smoothes the skin while giving a sense of softness. Use: Apply a rich layer to clean, moist skin avoiding the eye area. Massage gently with circular movements and then rinse thoroughly. Use 1-2 times a week. Συστατικά/Ingredients: Aqua(Water), Polyethylene, Ethylhexyl Stearate, Caprylic/Capric Triglyceride, Polyglyceryl-2 Sesqiisostearate, Οlea Europaea (Olive) Fruit Oil, Ammonium Acryloydimethyltaurate/VP Copolymer, Phenoxyethanol, Cyclopentasiloxane, Dimethiconol, PPG-25-Laureth-25, Caprylyl Glycol, Olea Europaea (Olive) Seed Powder, Imidazolidinyl Urea, Parfum (Fragrance), Benzyl Salicylate, Linalool, Citronellol, Hexyl Cinnamal, Alpha-isomethyl ionone.